Musings on a fickle society aka the truth hurts aka yes I know that's not a picture of Peterborough! Well, it seems like ages since my last blog post – and in fact it is! But here I am back with a burst of colour and a picture taken on my recent holiday to Barcelona. I actually visited both Barcelona and Paris so there will be plenty of pictures coming up! I’m not sure if this should be called harbour or marina as it is the lead up to the marina – if anyone wants to correct me then please go ahead. As those of you who follow my blog will know I am a fan of HDR so when I had the chance to get back to Barcelona I thought I would do it properly. Properly you may ask?? Well yes, those of you in the know will already know that there is a one click cheats way of doing HDR pictures and also the correct way i.e. 3 pictures that are combined. So my memory cards were full and it took me two days to complete them all. So if you like my post please show your appreciation and let me know. Look out for more coming soon. So here we are with post number 5 in our exhibition prints range. Today’s print is ‘Barcelona Alley’ and is a picture which was taken last year in Barcelona would you believe! The backstreets and alleys are full of interesting architecture and when you give them a HDR treatment it really enhances the styles and the colours. Our exhibition is running at Peterborough Museum for the next few months so if you do happen to be passing please drop in as we are raising money for Macmillan Cancer Support. If you would like to see all of the prints that are being displayed then please click on the picture and you will be taken to the relevant page on our website. Today we’re on a trip to Barcelona and a HDR image of some street art. As you’re making your way through the alleyways of Barcelona you can’t help but admire the intricate artwork that adorns some of the buildings. For more images of Barcelona just click on the picture and take a look at our Barcelona Gallery. This is a picture that was taken last year on a trip to Barcelona – and I have to admit it isn’t mine, it’s my sister’s! First of all let me say that I know El Bebedero isn’t actually the spanish term for a water fountain – it’s a sort of but sounds nicer one that we thought we’d use! Anyway, this picture was taken on a trip last year to Barcelona. I cannot take the credit for it as it was taken by my sister but as she is a part of IMJ Photo-Art too, I thought I would share it with you. You can view our other pictures from Barcelona at http://www.imjphotoart.co.uk and we are also donating a percentage of the profits from all of our sales to Macmillan Cancer Support so please help us to raise some funds for this very worthwhile charity. The path we take is full of interest and surprises but you never know what may be around the next corner. 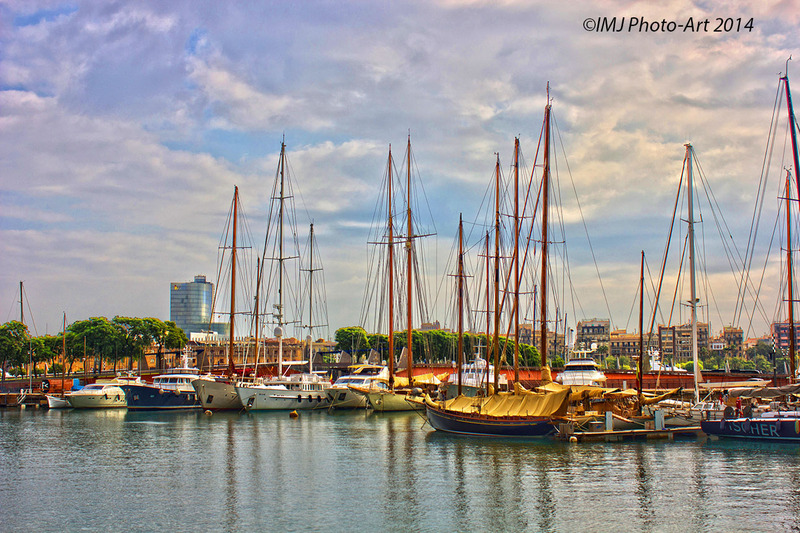 Image available to purchase from http://www.imjphotoart.co.uk in a variety of framed and unframed sizes.